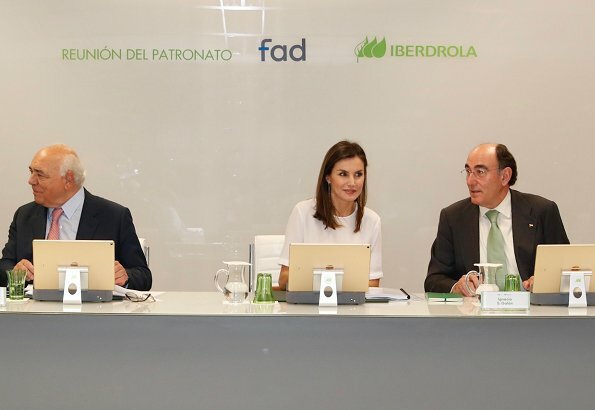 On June 12, 2018, Queen Letizia of Spain attended a meeting with the Board of Trustees of the Foundation for Help Against Drug Addiction (FAD) at Iberdrola Headquarters in Madrid, Spain. 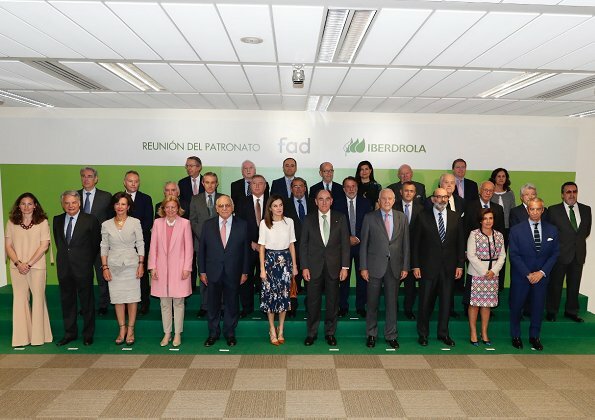 Queen Letizia became honorary president of FAD in September 2015, taking on the role from Queen Sofia who served as patron for nearly 30 years. Perfect - I love the shoes!!! And the lipstick colour!!! Love the earrings!! Shoes and purse, great. Pretty! I love the shoes and the skirt and the lipstick. I am not quite sure about the shirt. this is a very simple outfit right for the event? 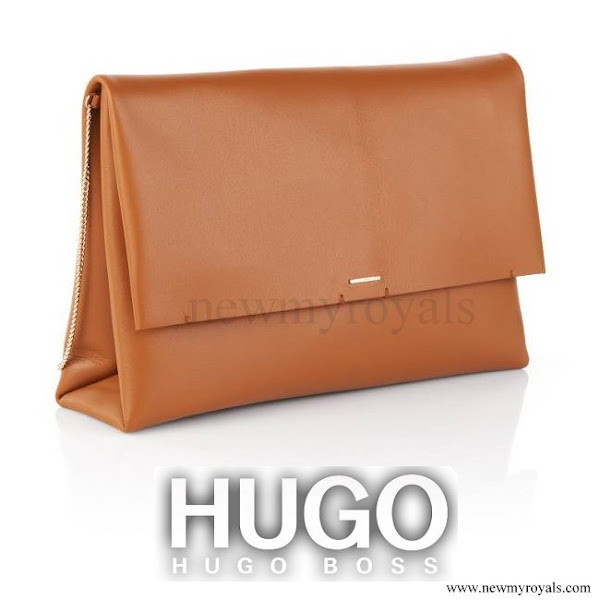 the jewelry is very nice so are the shoes I think the bag is a little to big,maybe it's just me. 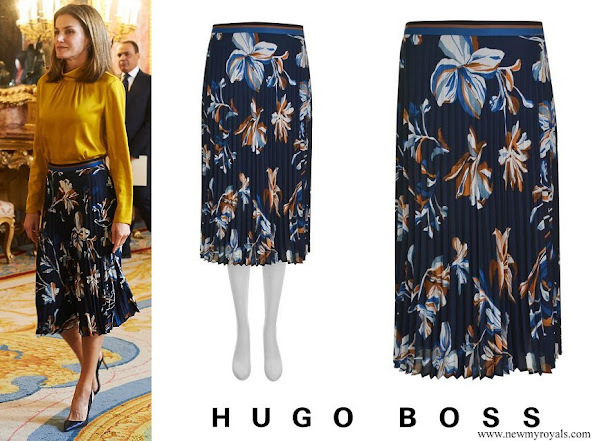 Loved the skirt the first time, and I still love it, it has so many possibilities to combine with tops on white, cream, light blue, mustard, orange, and so on.....right length and the right amount of volume for almost any type of body. 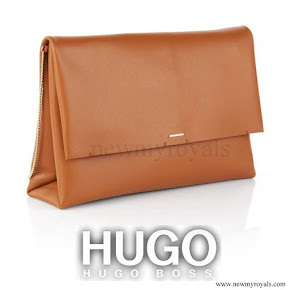 Great shoes & earrings, and although I love the purse, it looks a little too big to be carried without the strap. All in all she looks fantastic. White blouse is much better with the skirt. I love her skirt, she looks beautiful ! 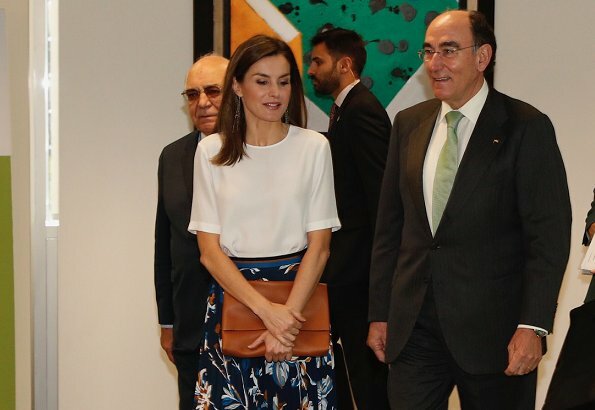 Queen Letizia of Spain looks fabulous. Sencilla, bonita y elegante. Precioso color caramelo de los zapatos y bolso.